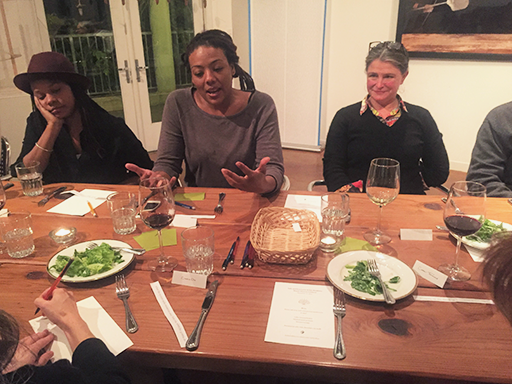 At the heart of artists’ experience at the Lucas Artists Programs is the time spent around the table--artists and friends leaning together over artisanal meals created by the LAP’s culinary artist. Experience some of these tastes and moments here. It’s been over a year since I started working on my first cookbook, Ciderhouse Cookbook, and a lifetime of learning to make it happen! It’s also been a year since I gave birth to Lucienne Claire, a revelation of inspiration and happiness. 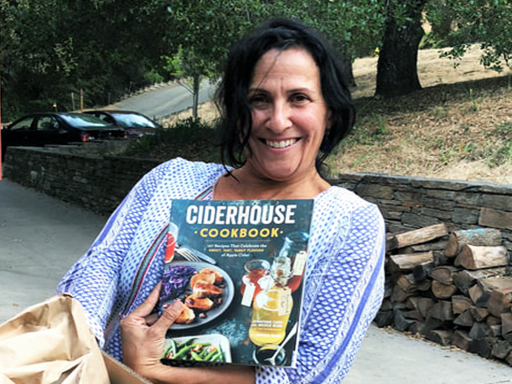 The two together became the reason why I wanted to write this book—to make simple recipes that let the seasonal and special flavors of my family’s ciderhouse shine and to celebrate the love one feels when they share a delicious meal with friends and family. Why do we enjoy eating outdoors so much? 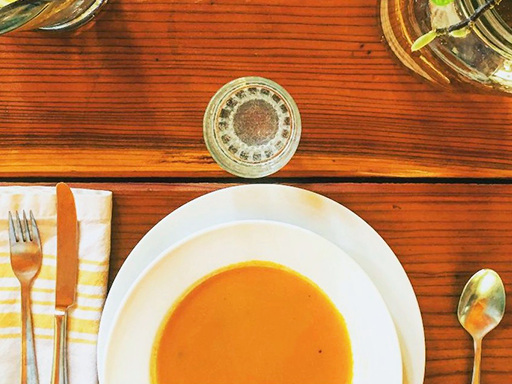 What is it about eating beyond the confines of the dining room? The first thought that comes to mind is the feeling of freedom; the cool air of dusk, the gentle breeze, the sound of crickets and the relaxed mood that naturally comes when sitting at a picnic table. The day’s work is done. The insects come out and the birds and bats feast. The dishes start arriving at the table. Knowing where your food comes from is a key aspect of the menus created here each day. 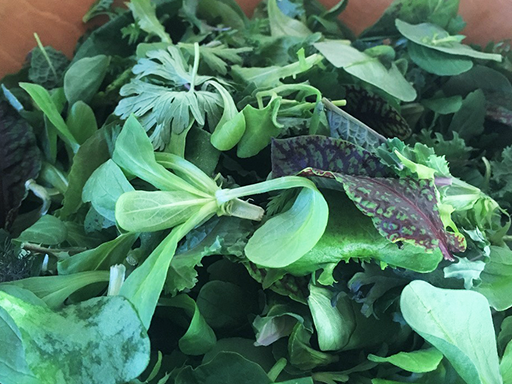 Eden’s greens are a fixture at the LAP table and they are very special--Eden only grows them for us. This is not the run-of-the-mill salad mix that you might see at Whole Foods or even at the farmer’s market. They are an art to themselves, with layers of flavor that brighten with each bite. They are alive and full of energy and when you eat them you notice a special power with every forkful. 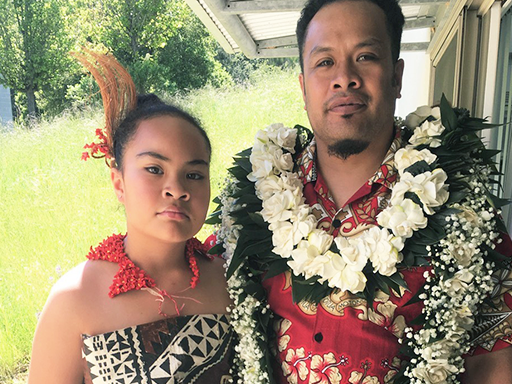 Tongan Artist Kalisolaite ‘Uhila has family at the center of his practice. “The importance of family in my work signifies being grounded and community,” he told me recently. 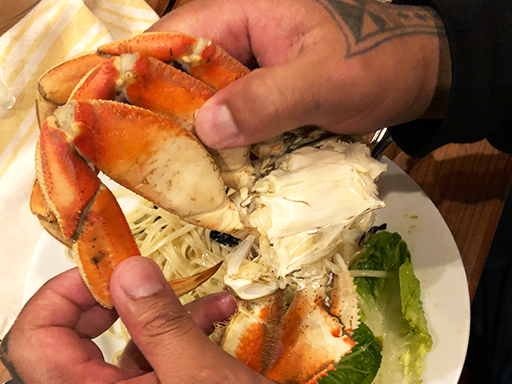 Before leaving Montalvo at the end of April, he invited his extended family and the other residents for a Tongan feast. 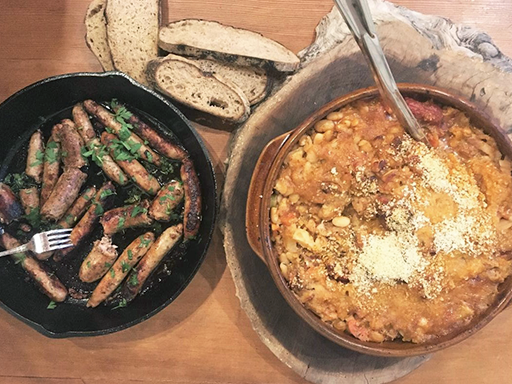 ​I didn’t know I would be pairing fava beans with distilled mezcal last week, but I did. 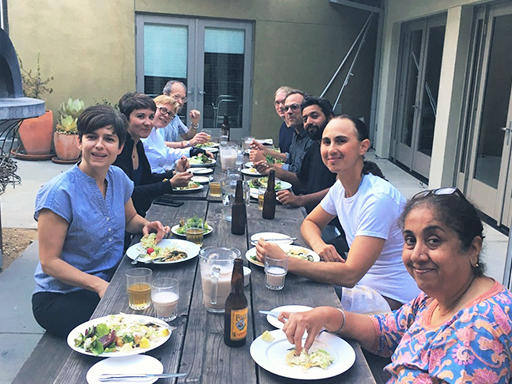 And it was under the auspices of the SETI institute, the scientific organization dedicated to exploring and understanding the origin and nature of life in the universe. How wonderful that one can combine food, drink and our relationship to the universe, all in one meal! 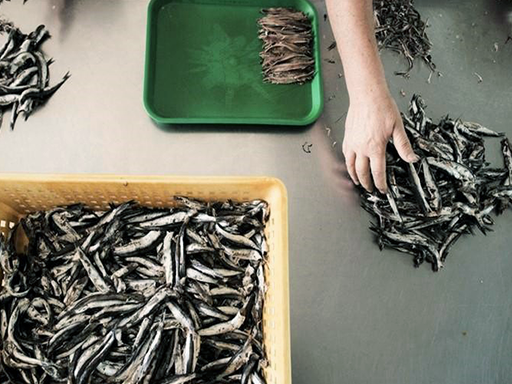 Have you ever had a fresh anchovy? Most people only experience them packed with oil and preserved with salt on some random Caesar salad. But this fish, this tiny unassuming guppy-like sea creature is a love of mine, eaten fresh or preserved. What I love about sablefish is that it’s hard to overcook. The high fat content helps this fish not to dry out and instead to caramelize as it cooks. 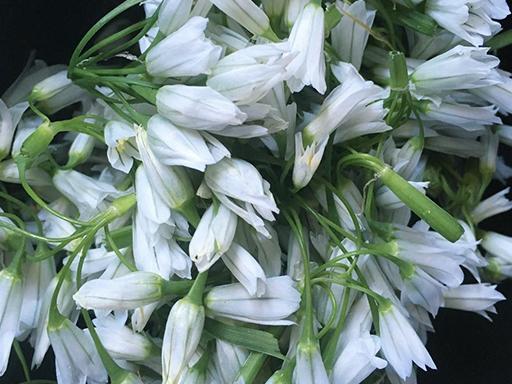 I cook it in a hot wood oven with garlic, miso and ginger, a truly magical combination. Next week, I plan to cook it in the smoker. 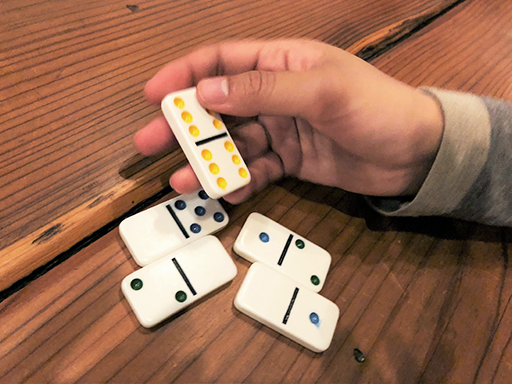 After dinner in the LAP Commons, a season of dominoes. With the fireplace lit and the lights down, the Commons is filled with the sound of dominoes clicking, subtle boasts, and bursts of triumphant laughter. The tiles stretch out in patterns across the redwood table. The patterns change. Some tools of the trade stay with you all your life. While traveling in France almost 20 years ago, I acquired a ceramic dish that as has become part of my quiver for cooking. 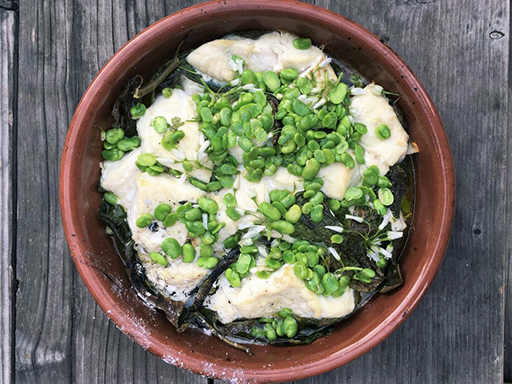 It’s known as a cassole, a traditional earthenware dish where one cooks a cassoulet. The outside of the dish is rough and still burnt from the firing, while the inside is glazed smooth. It’s a piece of earth I cherish like an heirloom jewel. 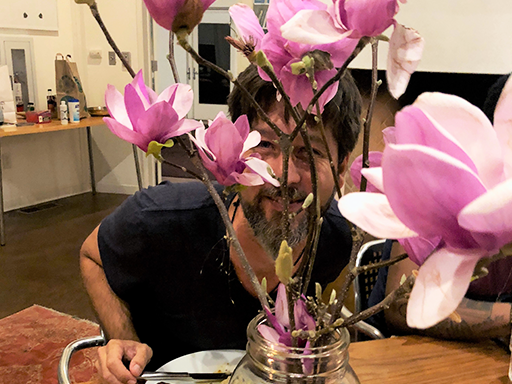 This week, I transformed a Tuscan meal into a Northern Californian one--a typical meal like I would find in the place I call the home of my heart--the Chianti region, just 45 minutes south of Florence in San Casciano in Val di Pesa. I would often go to lunch at the Ponte Rotto (Broken Bridge), a small grocery store on a country road with a room in the back turned osteria during the lunch hour. Everyone from farm worker to bureaucrat would come there to eat. It was a place to have a good, simple meal. That place was my inspiration for a dinner this week. 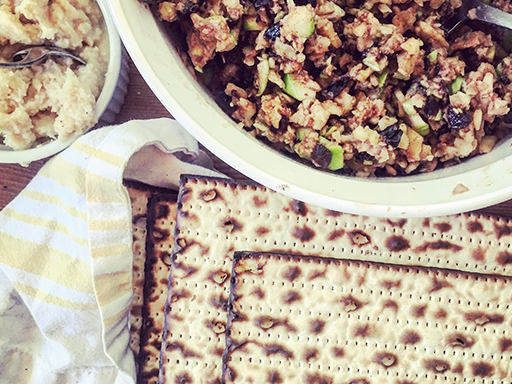 It was Passover last week and I made the residents an Ashkenazi lunch with most of the fixings of a Seder, the symbolic meal that recounts the story of freedom from slavery for the Jewish people. We had matzo flatbread, a cardamom matzo ball soup, brisket and haroset that we sandwich in between the matzo with a bit of horseradish, one of those things from childhood that sticks with you as a favorite food throughout your life. Fifteen pounds of carrots arrived at my doorstep last week. It was a mistake delivery and a bit alarming to have so many carrots piled on my kitchen island. So what to do? Cook everything orange! 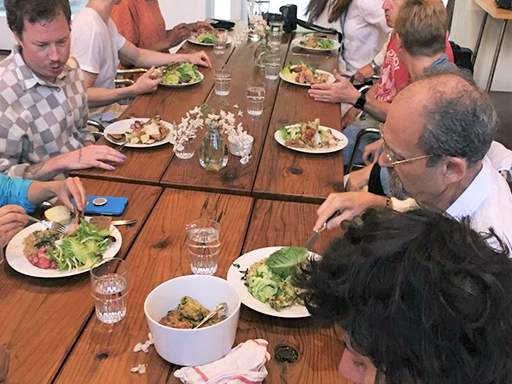 Tonight we used fire to cook the meal, welcoming new residents who have come great distances to the warm dinner at the Lucas Artists Program, and the tastes of red radishes with olive oil and sea salt, carrots with cardamom, brussel sprouts with date syrup. 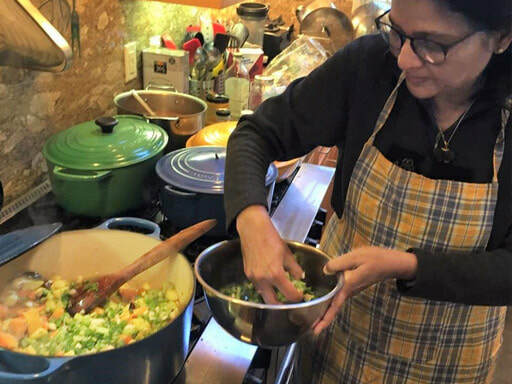 . .
A Taste of Place: "Heaven is Leftover Indian Food!" 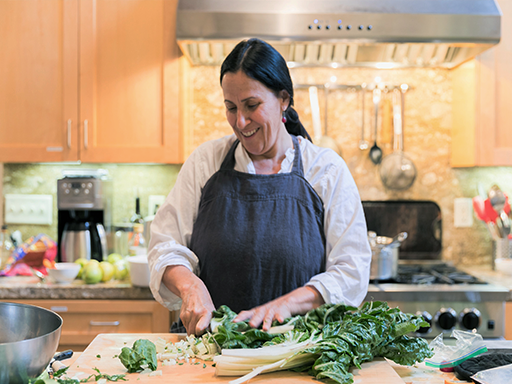 Some of my best kitchen memories are from cooking with women in home kitchens around the world. I am especially excited when these worldly women (and men) come to the culinary kitchen at the Lucas Artists Program and share their life stories and food. On Friday, Shirisha Gopisetti, a volunteer in the Montalvo gardens, came with her daughter Manasi to help make the artists' lunch. We planned a vegan Indian menu together. 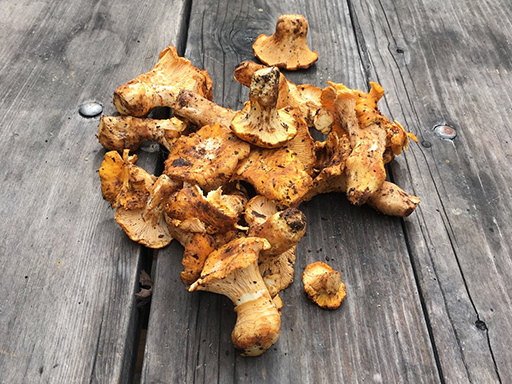 No better ingredient represents the taste of place, or terroir, as the golden chanterelle that pops up near the Montalvo grounds. Some years, chanterelles are plentiful and some years nil. This year is somewhere in between, as the rains have been paltry and the weather warm compared to last winter's deluge. On a cold day in December, composer Byron Au Yong welcomed our guests to a special dinner in the LAP dining room as a conductor would orchestrate a choir—hand in the air, commanding. The guests fell silent, surprised. Then Au Yong started with a sound, one long tone that rose in volume as he handed it off to us, and we took it up and carried it as Au Yong introduced new musical lines, layer over layer, and conducted our untrained voices in an extemporaneous composition. 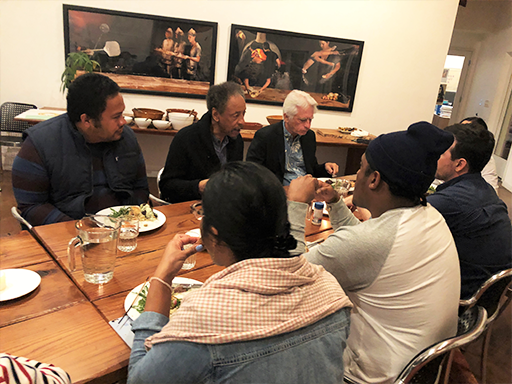 Around the table with Simón Adinia Hanukai on December 7, 2017, we spoke about inclusion. Where can we even begin? We started with questions: How do we undo whiteness? How do we share blame? How do we find acceptance? How can we protect one another's human rights? 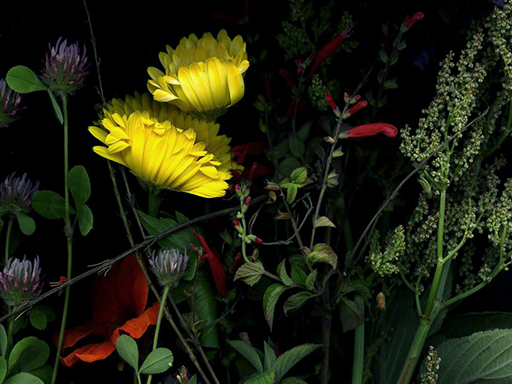 Four nights a week at the LAP, we gather around the table for artist dinner and experience the taste of place. 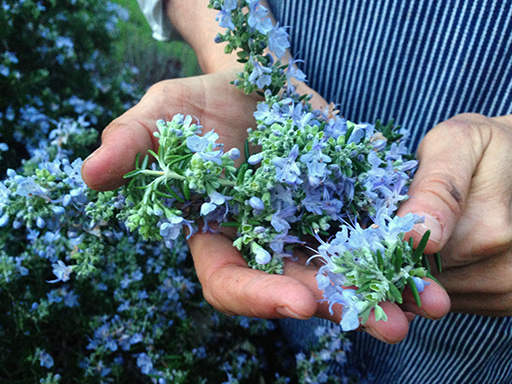 Montalvo's grounds provide endless foraging possibilities to add local flavors to our meals. The California Bay Laurel (Umbellularia californica) is a favorite of mine. 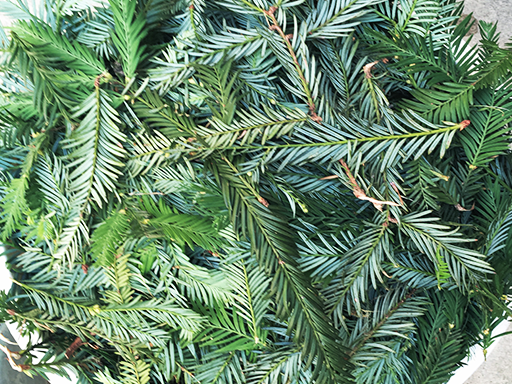 Its leaves are much more pungent than the dried leaves we find in the stores, and it’s a variety never found in the spice aisle. 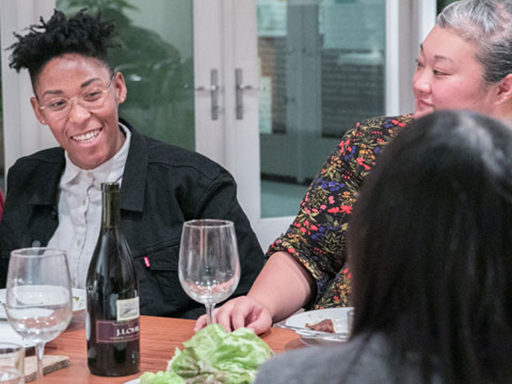 In December, Bay Area arts magazine Art Practical reached out to arts leaders in the South Bay and invited them to a specially-curated dinner on December 11 at the Lucas Artists Program at Montalvo. Their invitation: "Build community. Share resources. 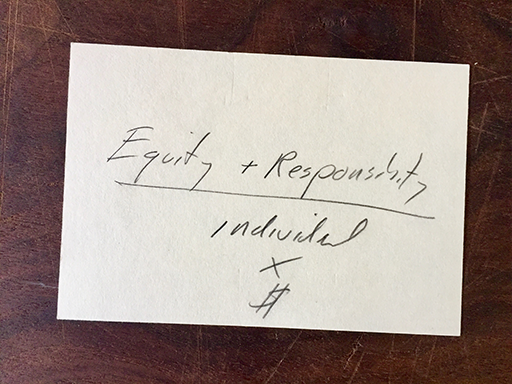 Discuss methods and experiences that you or your institution has had in creating visibility, forming leadership opportunities, and engaging audiences to advance cultural equity in the arts."